It seems that Michael Gungor of the Dove-award winning band Gungor has been creating a bit of a stir in the Evangelical world lately. Now I have to admit that I’m not terribly familiar with Gungor’s music (I honestly assumed that they were a Norwegian Black Metal band when I first heard their name) and I usually would let this go without comment. But I think Gungor’s latest controversy brings up a rather important issue. In a recent blog post titled What Do We Believe? Michael Gungor described his journey with doubt. Gungor recalled a conversation he had with a friend who said he no longer considered Gungor a Christian. And many Evangelicals have joined in with accusations that Gungor has departed from biblical orthodoxy. So what fundamental belief has Gungor denied? Has he denied the existence of God? The resurrection of Jesus? It’s actually neither of these. 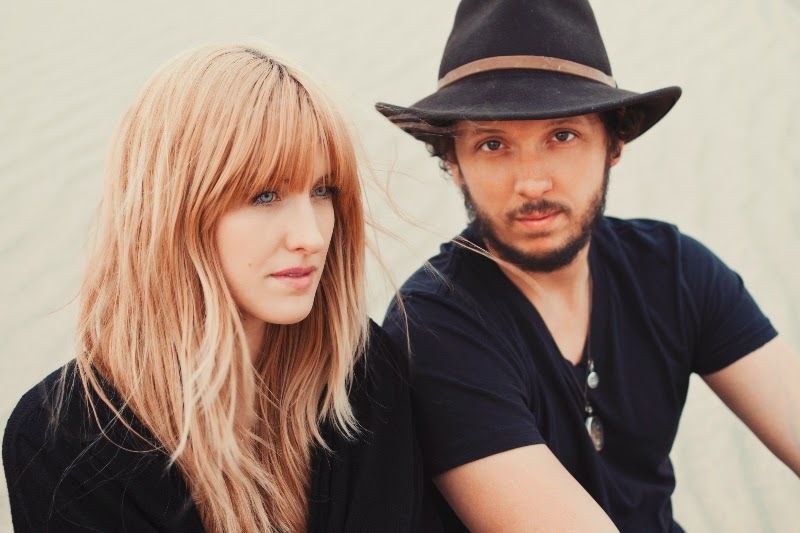 Gungor has stated that he can no longer hold to a literal interpretation of Genesis. More specifically, Gungor has stated that he can no longer believe in a historical Adam and Eve or a Noahic flood “any more than he can believe in Santa Claus or not believe in gravity”. Now the topic of this discussion is bound to raise a few eyebrows from those who know that I favour a non-literal reading of Genesis. I should be clear here that I don’t share the same conclusions as Gungor. I believe in a historical Adam and Eve (albeit my understanding is very different to that of Ken Ham and his ilk) and I hold to a local interpretation of the Noahic flood. But I should point out that there are a number of respected Evangelical theologians and biblical scholars who think that the Adam and Eve story is probably a parable about how everyone rebels away from God rather than a literal story about two individuals. And while I’m not defending that interpretation, I have read their defence and I can see how they can keep a logically consistent Gospel without a historical Adam. But I’m not here to discuss the historical Adam and other rabbit trails. I’m here to discuss the very real experience of doubt within the Church. In recent years it has become more acceptable to out yourself as a doubter. So why has Gungor caused such a stir? I think it comes down to how we define what is acceptable as doubt. Sometimes I think in the Evangelical world that when we say “we’re open to people who doubt” we really mean “we’re open to people entertaining doubts as long as they eventually return to the status quo”. I have already written about what happens when people don’t return to the status quo, but I want to talk about it from a different angle. The capital S sin that Gungor has committed in the eyes of Evangelicals is that he can no longer take some of the Genesis prehistory literally. Of course I have heard the exact same criticism: How can you believe the Bible if you don’t believe that the opening chapters are literal/true? Ignoring the fact that this questions makes about as much sense as asking “how can you believe that the non-fiction books in your local library are true if there are also poetry books?”, the obvious answer is that literary studies provide context as to the genre of the passage you are reading. Why has a literal reading of Genesis become the norm, especially when there has been a wealth of evidence both in Church history and Biblical Studies advocating for a non-literal reading of Genesis? Part of me wonders if by making our main emphasis on the historicity of the narrative we find a way to avoid grappling with the difficult theological questions these stories pose. When Darren Aronofsky’s Noah came out many Evangelicals were up in arms at how much the story deviated from the biblical narrative (I have written a detailed defence of the film here). I personally loved the film. I thought it did a fantastic job of showing the visceral horror of the event while still exploring the themes of the biblical account. But unfortunately this was not enough to redeem the film in the eyes of those who wanted a literal retelling of the story. Part 2: The second reason for Gungor's controversy and what Jesus can teach us about doubt will be posted tomorrow. Gungor has made quite clear that he believes in these in his latest post. There has also been some controversy over a song of his that uses feminine pronouns for God. I’ll refrain from commenting on this because I quite frankly don’t know enough about it to comment on it and I fear that an analysis of it would go beyond the intended scope of this post. Charisma News’ coverage of the story was accompanied by the sensationalistic title “You Won’t Believe Who Doesn’t Believe the Whole Bible Anymore”. Of course this is a very loaded definition of “true”, as if ancient literature has to be literally true to satisfying our Enlightenment definition of “truth”. Ancient Near Eastern cultural assumptions need to be compared and contrasted with today’s cultural assumptions. Take Genesis 2, which depicts humans as having been created in order to dress and keep one particular garden on earth. “The Lord God planted a garden eastward in Eden; and there he put the man whom he had formed… And the Lord God took the man, and put him into the garden of Eden to dress it and to keep it” Genesis 2:8,15. Many ancient Near Eastern writings state that humans were created out of the ground (mixed with divine breath spirit or blood) in order to serve the god(s) either as caretakers for a particular garden (per the Israelite story) or to feed the god(s) the “soothing aroma” of endless burnt sacrifices (a view that the Israelites shared with their neighbors). Nearly everything that could go wrong in nature or politics was interpreted as a displeased deity’s curse in reaction to no longer receiving proper worship and sacrifice. (See, “Israel’s Theological Worldview” http://edward-t-babinski.blogspot.com/2010/10/rise-of-monotheism-israels-theological.html , and see note 6. on this page http://books.google.com/books?id=UJ1vPJ1GLKcC&lpg=PA118&vq=marduk&pg=PA136#v=onepage&q&f=false ) Therefore proper worship was sanctioned by a king and performed by priests in temples whose work was viewed as crucial to the nation’s health. Our understanding is different today. Few educated citizens of first-world countries continue to believe that diseases, famines, invasions, etc., are the result of god(s) demonstrating their displeasure with nations or individuals. Instead, they acknowledge that scientific discoveries and inventions can help predict, prevent, warn, or at least lessen the death tolls from disasters and disease (be they earthquakes, hurricanes, tornados, lightning strikes, pandemics, etc.). City planners, health and safety engineers, meteorologists, agricultural and medical scientists, are viewed as more essential today than say, supporting a national priesthood. Why are their two great lights (literal Heb. “great lamps”) in the sky that appear and disappear at regular intervals? Because God provided them so we can measure the time between religious festivals in his honor (the Hebrew word for “seasons” in Genesis 1 is used in the Pentateuch to denote religious festivals). The Babylonian creation epic, Enuma Elish, explains the lights in the sky the same way, as timekeepers put there by their high god, Marduk, so that humans can tell when the next religious festival in his honor was due to be celebrated. Biblical writings also provided answers to questions like, Why are we at odds with a particular nation? Because it’s in their blood, their eponymous ancestors behaved badly toward us so it’s little wonder that their descendants still do. Why did we kill and enslave people living in the land of Canaan? Because the alleged son of a son of Noah, named “Canaan” was allegedly cursed along with all of his descendants, the Canaanites, to be the slaves to Noah’s other sons. The Bible also features legendary tales that explain the reason behind legal and ceremonial precedents. Why don’t we Jews eat a particular thigh muscle in animals? The muscle of the thigh is sacred to us because God struck Jacob on this muscle while wrestling with him at Penuel (Gen 32:33). Thanks for your input Edward. Interpreting Ancient Near Eastern creation accounts is one of my interests and I agree that it's important to understand what the creation accounts of other ANE cultures say when interpreting Genesis.